Everyone in the Greater Cleveland area knows that I sew. (OK, maybe not everyone….) So they bring me their mending challenges. This gorgeous dress was brought to me by an acquaintance. Her daughter attends Chardon High School – where the terrible school shootings occurred. Everyone in the city voted for this school to receive a free prom at the Rock n Roll Museum downtown. And the kids certainly deserve to have fun! 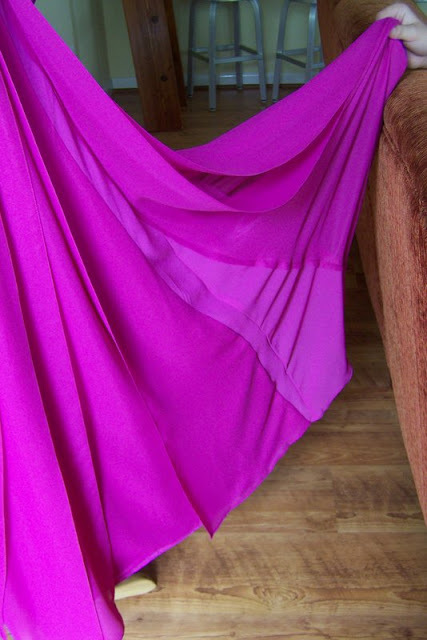 The beautiful layers of chiffon were seamed together in a most challenging way. It was not a simply turn and pin fitting. It took me two hours and I was still not confident I had it right. The good thing about the lalyers is that it is forgiving. There is so much movement that you can’t tell if it’s slightly uneven. But I had to remove the bottom of all the seams all the way around so that I could do a narrow hem. It took me an entire day to cut and baste. And, oops, I did it again…..this one does not have the pleated layers. It did have a train. Again, the pinning of the hem was a challenge. Mom helped. I first cut, then we turned and pinned and still we don’t feel we have it even. There are two layers of lining and one top chiffon-like layer. I haven’t started this one yet…. In my mind you are one of those” babushka ladies”…(notice I left the old part out)! You are my sewing idol….really, you don’t give yourself enough credit. 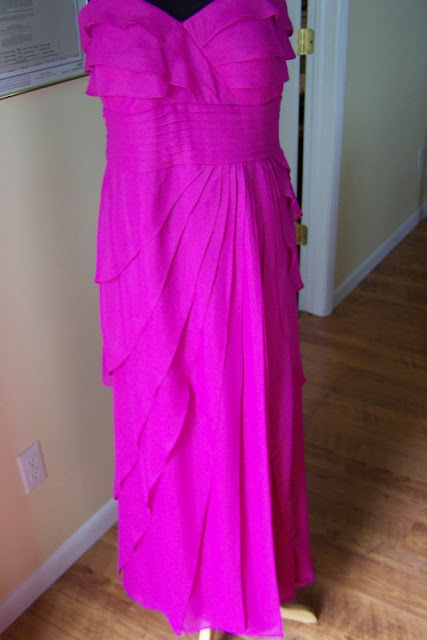 Beautiful dresses – so classic…I love the pink one! 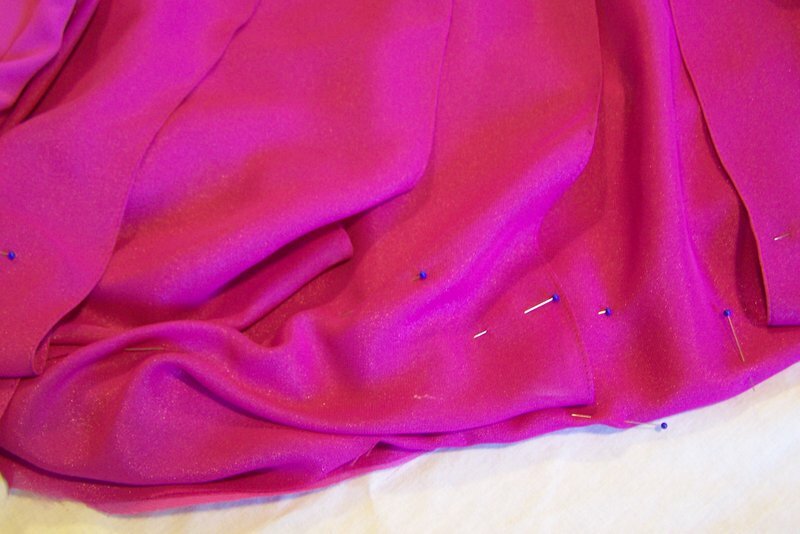 I have to hem my daughter’s prom dress…it is only two layers and nothing tricky so now I am feeling more confident! Her prom is this weekend so I have to get going on it! Keep reviealing your great creations! My Sara re-made a dress this past week and it came out adorable (see blog)…reminded me of just what you can do with all those outdated clothes that just hang in the closet, Keep revealing all your fabulous creations! I love seeing them! Such pretty dresses! You will get it all figured out!